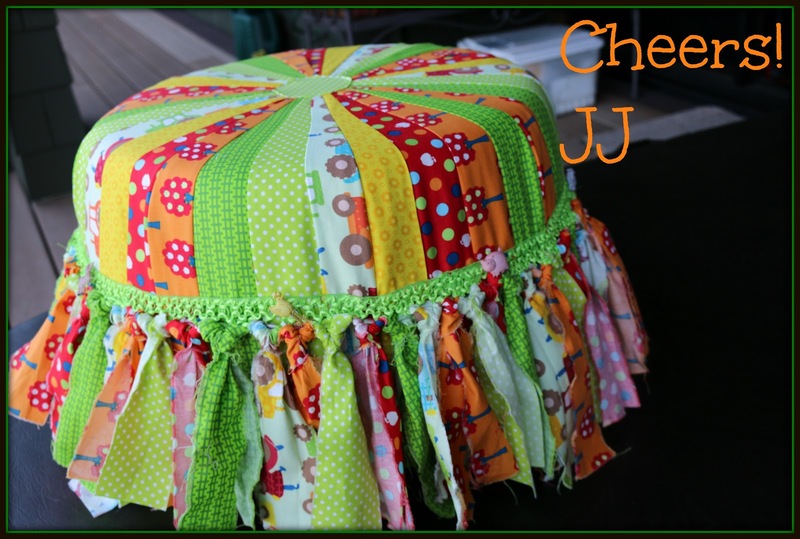 I started making these adorable tuffet's about 9 years ago, just before my first grandchild turned "1"! 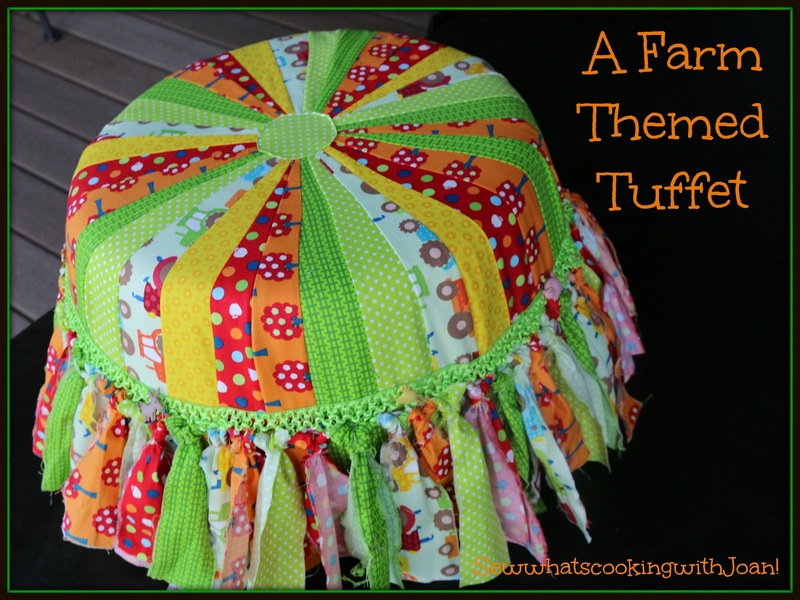 Eleven grandchildren later, I have made at least 13 tuffet's (honestly, I have lost count)! I have them surrounding various themes and I add various materials to enhance the theme. Many of my tuffets are pictured on this Link. Instructions and materials used are also on this Link. A tuffet, pouffe or hassock is a piece of furniture used as a low seat or footstool. It is distinguished from a stool by being completely covered in cloth, so that no legs are visable. It is essentially a large hard cushion that may have an internal wooden frame to give it rigidity. Wooden feet may be added at which point it becomes a stool or footstool. 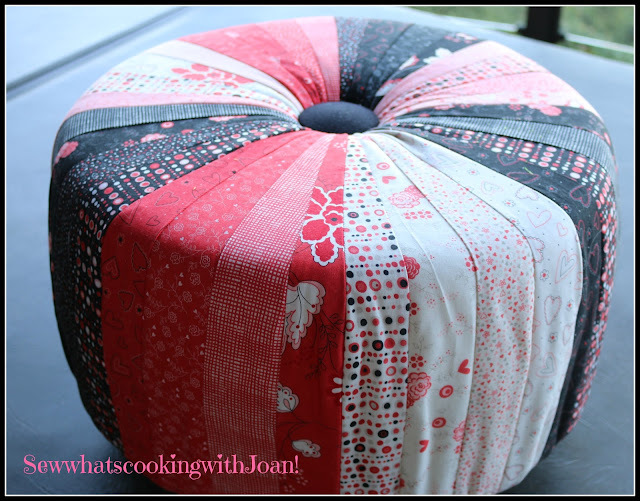 If a piece is larger, with a storage space in it, then it is generally known as an ottoman. This cute "Farm themed Tuffet" was so fun to make! 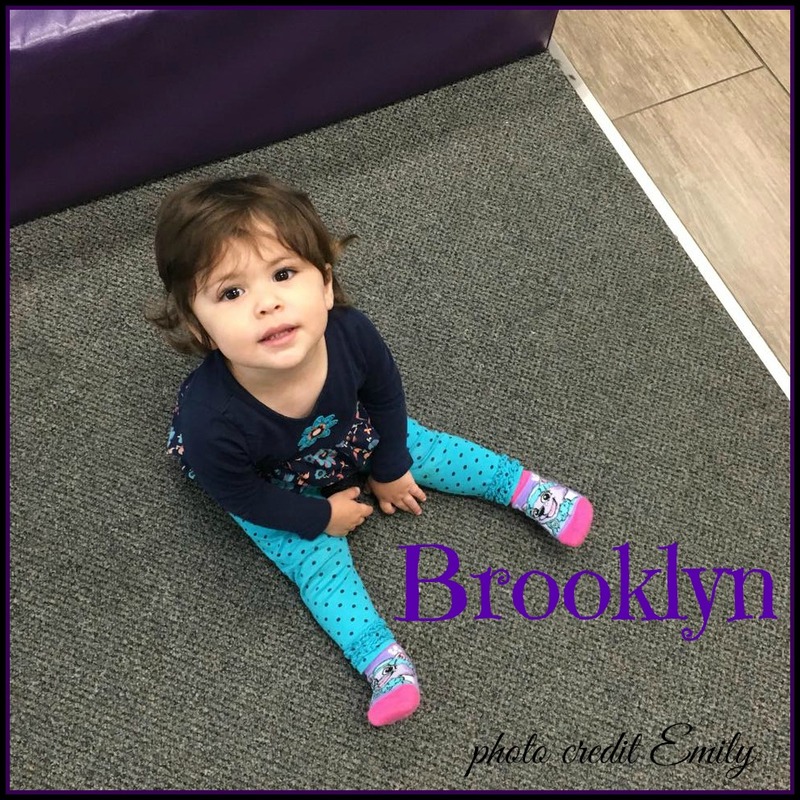 I made it for my daughter-in-laws niece, Brooklyn. 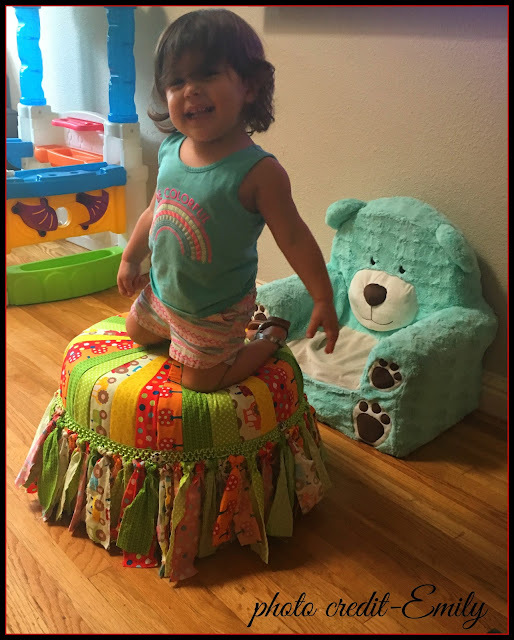 Amy's sister, Emily asked if I would make little Brooklyn a tuffet....how could I say no to this little face??? Look!!! She has no where to sit! The floor is not a place for this little princess!! I knew Brooklyn's nursery was a farm theme, so I went to thinking about how I could make a country look for her and incorporate some farm animals. After much thought, I decided to rotary cut strips, wash them so they would become "thready" and dry them. I bought a 1 3/4 inch wide stretch crochet braid trim at this link, JoAnn Fabrics. 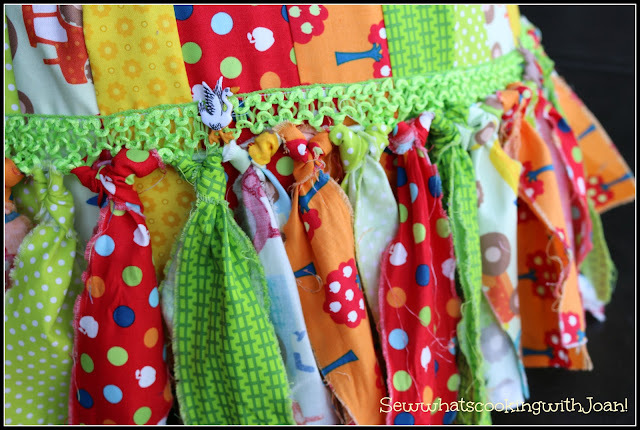 Sewed it to my outer cover and put the folded strips through...knotting each one. I finished the look with little farm animal buttons I found on this link on Etsy. 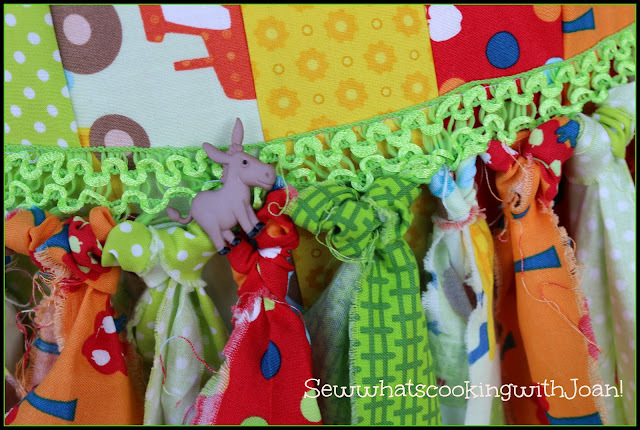 The outer cover, the "Farm Themed Cover" is removable and washable. I wash in a large lingerie bag on cold water and tumble dry with no heat. there may may more threads than you want, just clip them with sharp scissors. Just look at this cute little donkey...hahaha! So fun! The permanent cover, under the outer "Farm themed cover" looks like this on Brooklyn's tuffet. And doesn't little Brooklyn look so happy!